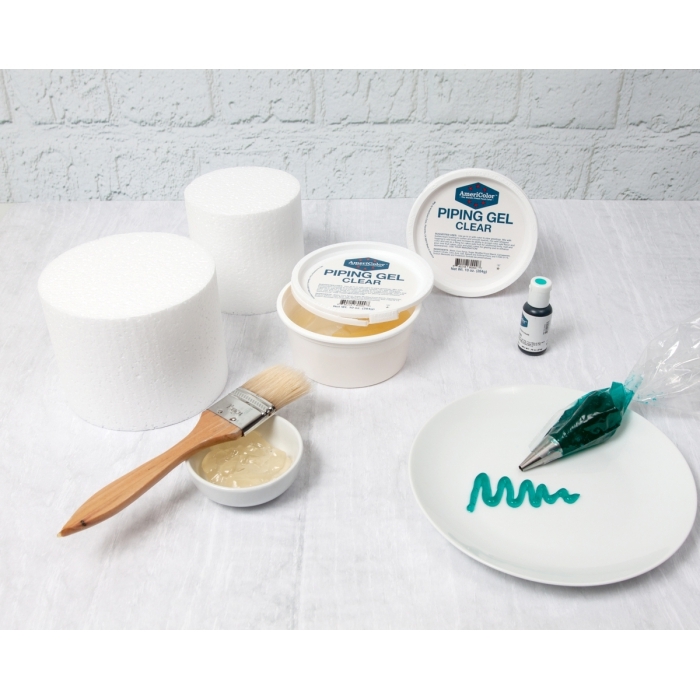 Americolor piping gel can be used straight form the tub to pipe designs or to glaze cakes before icing. For an increase decorative effect you can colour the Americolor ® gel with food colourings; for true colours use on a cake iced with white icing as the colour of the icing will reflect through. Colour and make water for rivers on cakes.